If you just take crops from the ground, year after year, it will not take long until the ground stops giving you good crops. Someone once told me that good farmers feed the soil and let the soil feed the crops. As soon as you are feeding crops directly, you have a problem. I have found that to be true. Planting crops into soil that has the resources it needs to care for the crops is the best way to farm. This may sound simple, but it can be complicated to understand and even more difficult to implement. When farming organically, there are some organic fertilizers that you can apply like feather meal, composts and seaweed extracts. These items are primarily used to add nitrogen to the soil that plants can use. They work okay, but are expensive and often have negative side effects that reduce the quality of a soil (salts in feather meal, non-compostable trash like broken glass in compost). These tools have their place when you are trying to give a little extra bump to a crop, but they are not tools that can be relied upon to care for soil and plants. The only way I have found to take long term care of soils is to grow cover crops, as often as possible. 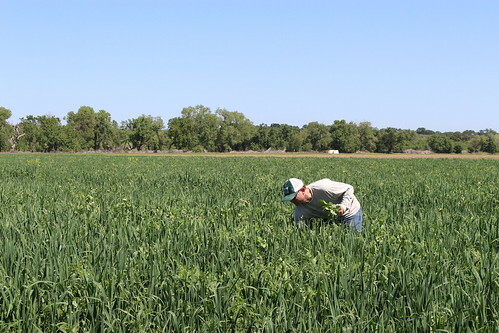 On our farm, we make a point to budget the expenses to grow one cover crop with each crop. 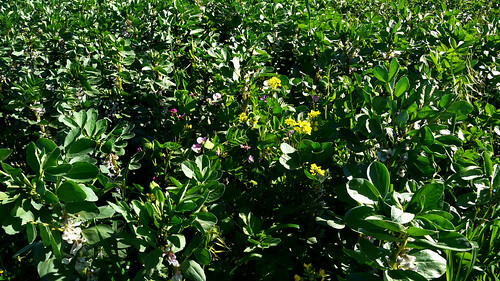 Cover crops are typically mixes of grasses and legumes. The exact mix depends on your location and the time of year. Right now our farm is using a mix of 80% Iron and Clay Peas and 20% Buckwheat. This is a mix that grows well in the summer heat. 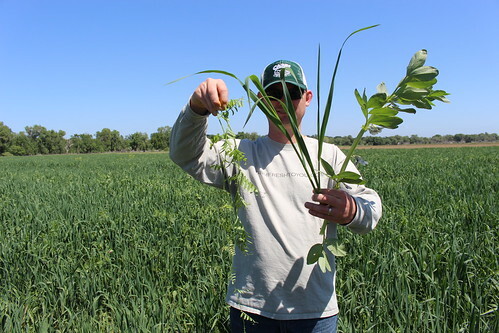 The peas have some nitrogen-fixing roots that take nitrogen gas out of the air and turn it into mineralized nitrogen that will decompose over time and turn into nitrates and nitrites that future crops will eat up. The green matter from both peas and the wheat will add valuable organic matter to our soil (we try to keep the organic matter level of our soils over 1%, which is easier said than done). This provides amazing benefits to the soil structure, enabling roots and water to easily travel through it. It also provides food for soil microbes to eat, digest and secrete valuable food for our plants. 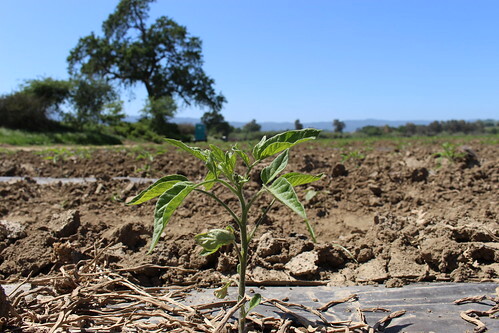 All of these benefits are obtained by nothing but the local resources of land, water and seeds — they are without a doubt the most sustainable way to maintain healthy soil. 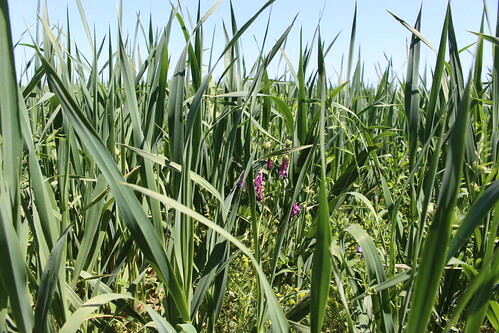 Cover crops should be the cornerstone of every farm’s fertilization program. Unfortunately, they are not — but they are the cornerstone of your farm’s fertilization program!